In 1979, Gary started his first brick-and-mortar retail store, then in 1996 launched his first e-commerce site. 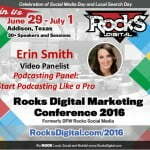 He produced his first podcast in 2004 and in 2006 Time Magazine included one of his websites as one their “50 Coolest Websites” of the year. 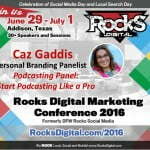 Gary will be inducted into the Podcast Hall of Fame in July and is a co-founder of the world’s largest podcasting conference, the Podcast Movement. Today, Gary spends most of his time running his large network of websites, podcasts and blogs located at Lelands.org. 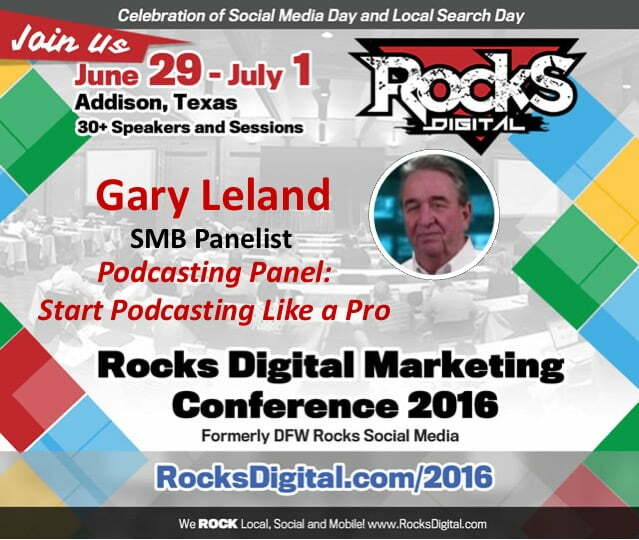 #PodcastMovement co-founder @GaryLeland joins our #podcast panel at #RocksDigital 2016!